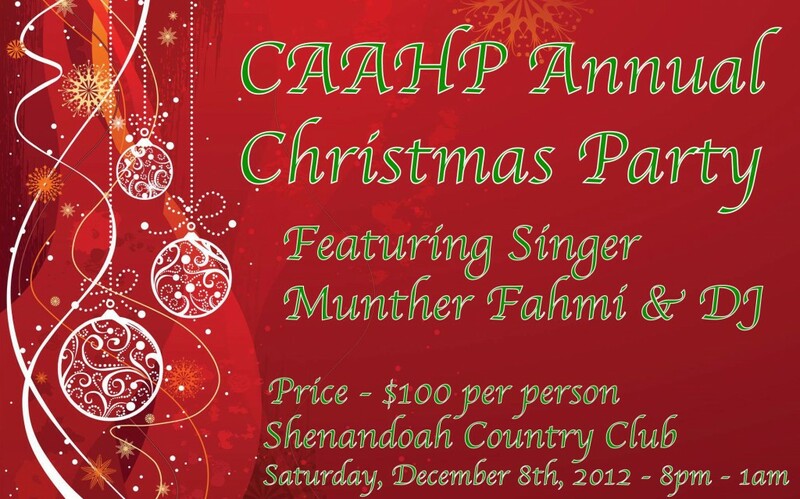 Join the CAAHP for our Annual Christmas Party! Please join us for a night of friends, family and holiday festivities. Singer Munther Fahmi and his DJ will provide entertainment all night.